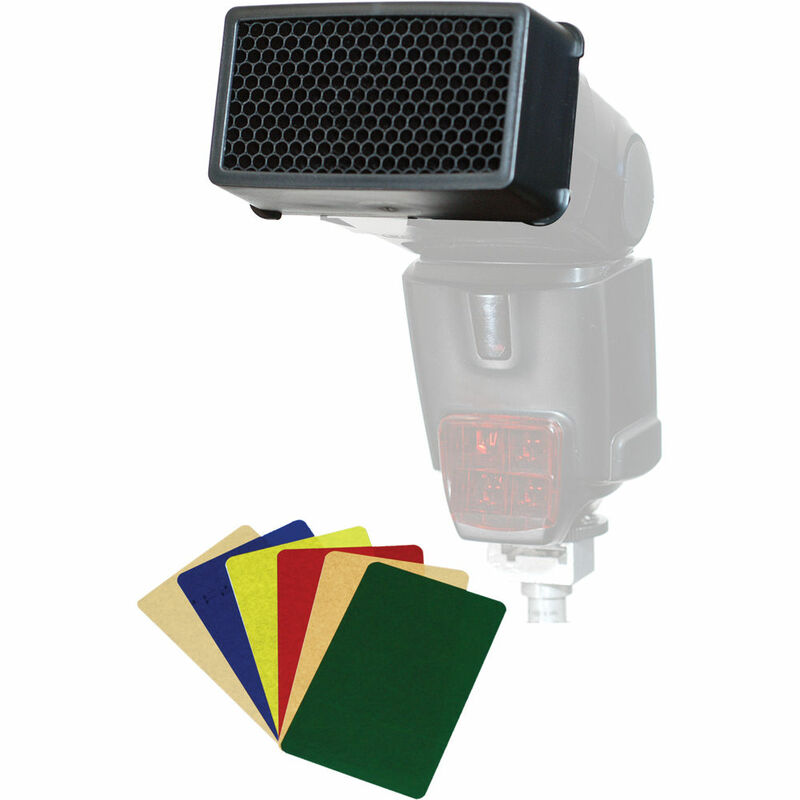 Direct and focus your flash's light while simultaneously adding a splash of color with this QSSG-A11 1/8" Quick Spot Kit with Gel Set from Harbor Digital Design. This small honeycomb grid will narrow the beam angle of your flash, allowing you to more easily place the light where you need it and avoid spilling over where you don't want it. Six colored gels are packaged with the quick spot for adding a bit a color and creativity to your shot. And, along with this setup is a dedicated adapter that slides onto select flash units without the need for any straps or fasteners.